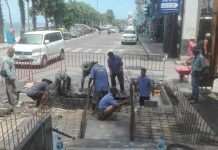 The guardians of Pattaya’s public image are complaining about mud in areas near the under-renovation Bali Hai Pier and at the Pratamnak Hill viewpoint. The entire Bali Hai area is under construction, so the fact there is mud and pooled water under the pier flyover shouldn’t surprise anyone. But worrywarts say it’s just one thing that makes the city look bad. 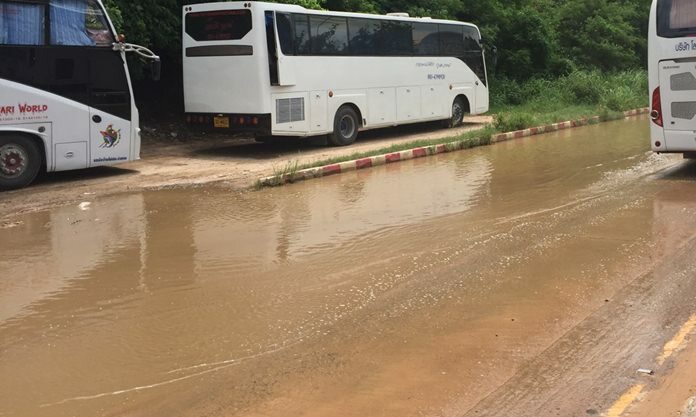 On the list of blemishes Pattaya has in the public’s eye, mud puddles rank pretty low. But some people also are moaning about muddy areas in the parking area of the popular hilltop viewpoint. 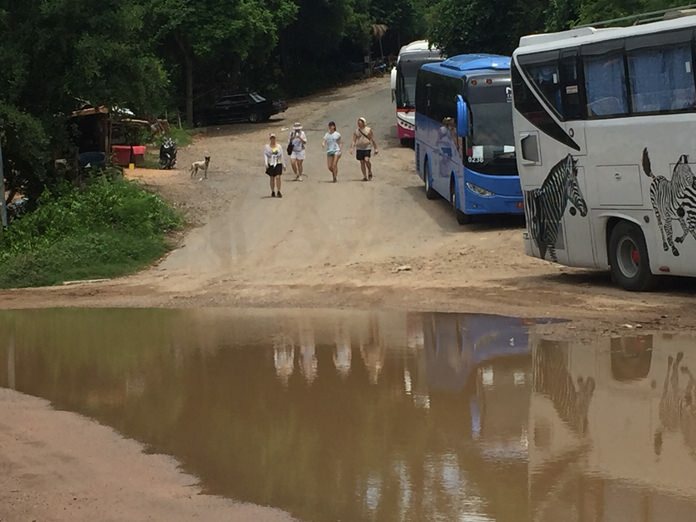 Both areas are prone to flooding during heavy rain and the amount of mud that flows to the areas has nowhere to go due to insufficient drainage, complained the residents who, unsurprisingly, refused to give their names.